“The acquisition of success can sow the seeds for failure”. This thought provoking quote was just one of the pieces of knowledge Malcolm Gladwell shared on a CSPAN BookTV interview. Named one of Time’s 100 most influential people and an individual who really explores the forces of our actions; he is one high grade and influential intellectual. Writing now for the New Yorker, and previously The Washington Post, this son of a mathematics professor stoked his massive interest in research and literature while wandering around the vast offices of the University of Waterloo. His other four books were all on the coveted New York Times best seller list. What The Dog Saw: and Other Adventures, The Tipping Point: How Little Things Make a Big Difference, Blink: The Power of Thinking Without Thinking, and Outliers: The Story of Success are the other incredibly provoking and interesting predecessors to the new book. Particularly in Blink: The Power of Thinking Without Thinking, marital relationships, pop music, gambling, and new trends like speed dating in what he describes as “thin slicing”, where he talks about very rapid judgment having an effect on our actions and issues of psychological priming. At the New Yorker in 1996, on a first assignment writing about fashion, Gladwell wrote about a man who made 8 dollar T shirts as opposed to more expensive craft. This and other articles landed him a hefty advance; and major clout as well as divine appreciation among readers worldwide. 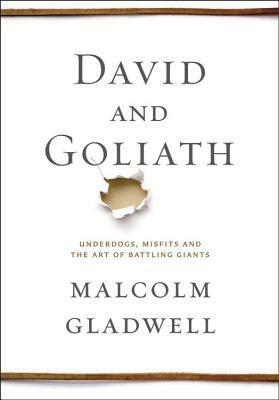 In the new book, he takes on the poignant parable of David and Goliath, and asks a lot of questions about current business environment and society. Also writing a great article in 2002 about “The Talent Myth”, he did a great job of asking questions regarding management styles and the ways in which employees are rated. Accurately pointing out that egocentric types who pass the blame and take false credit for achievements are promoted under current climate tactics, he argued that experience should trump all in the dog eat dog workplace culture. His books being heralded by many as some of the best of the decade, his new work examines how our nation was humbled over the course of the Vietnam War, and other interesting subjects like business owners who succeed in spite of dyslexia. The piece he wrote with the same title for the New Yorker four years ago chronicles an Indian man who coaches a young woman’s basketball team, who are an amazing group of underdogs. Using very unorthodox methods, he actually takes them to a national championship. Closely examining the idea that being in a position of power makes the holder much more precarious than the general public would imagine, the new book to be released October 1st promises to be provoking and insightful. In times where we dream of being the ultimate entrepreneur, yet want so bad to connect rightfully with others and sustain the life of our Earth, an author who wants to investigate the man behind David’s armor should inspire readers in droves; as all his other works have. 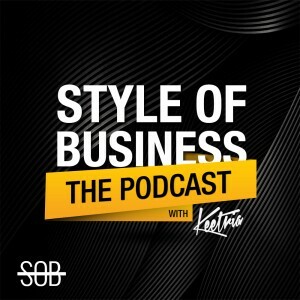 As he says in the poignant interview with BookTV, his main desire it to get his readers to step back and examine their own experiences; a project many startup business owners could learn light years worth of information from.